The Bible Lands Museum of Jerusalem (BLMJ), located on Museum Row in the heart of the modern cultural center of Jerusalem, is a museum of archeology and history. 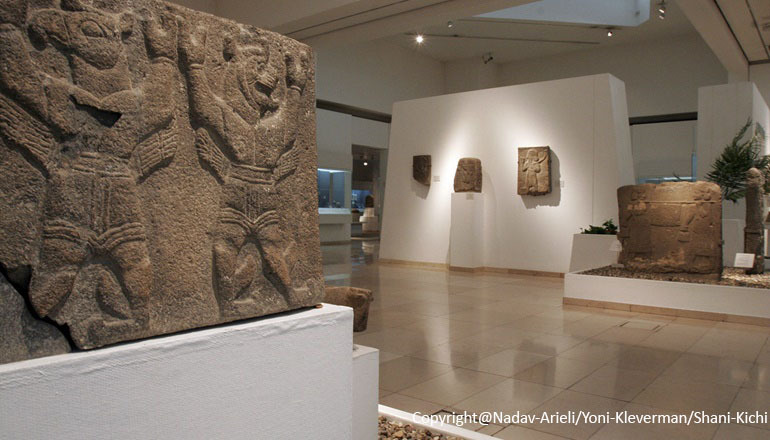 The museum is considered to be the only one in the world designed according to a biblical perspective, displaying the history of lands and nations mentioned in the Bible, such as the Babylonians, the Persians and the Egyptians. The permanent collection houses thousands of artefacts which reveal thousands of years of history, from the dawn of civilization to the Early Christian Era, making up one of the most important and fascinating collections in the field. Founded in 1992 by the late Dr. Elie Borowski and his wife Batya, the Bible Lands Museum's extensive collection of ancient art and archaeology helps visitors gain a more intimate understanding of biblical history and the heritage of the Bible. BLMJ has earned international acclaim as a universal center for cultural and educational programming. It leads innovative tours for school children, presents weekly lectures, and offers a variety of courses for adults. The Museum is a vibrant cultural institution offering creative programs for families, changing exhibitions and a rich array of activities throughout the year. Museum Opening Hours | Open 7 Days a week!